If you ever come to the conclusion, for whatever reason, that pushing Excel data to the Blockchain is what you need, we are happy to help! We recently read about the Azure Blockchain Development Kit and had to cringe about the samples. But, who are we to judge those important enterprise business use cases requiring to get data from Excel to the Blockchain? Therefore, we took a look at the prerequisites, setup, initialisations and finally the execution of this with the new Microsoft Azure templates. And, to be clear, we love the idea of Microsoft getting involved into Blockchains and Ethereum and pushing Azure as a starter kit, that’s really great. However, the whole procedure seemed quite long and exhaustive, that’s why we want to show how easy this is with standard development methods. Of course, these are lacking a lot of features and cool stuff you get with Azure then. But, they can help you to understand better what happens under the hood. So, let’s go for it. No, wait, Excel to Blockchain, honestly? Why? //TODO: Insert suitable reason here. 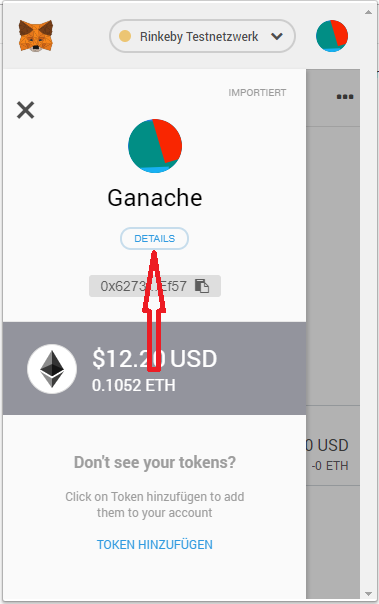 Due to web3j it is really easy to connect to an arbitrary Ethereum Node, even Infura and Ganache, as simple as it is with web3.js or web3.py. All the other stuff is common Java dev tools, like Glueing with Maven, Excelling with Apache POI, etc. This is where Java shines, it’s really good at enterprisey integration stuff. You can start directly and import the sources as a Maven project in your IDE or build it without an IDE and start it from the command line. See the details here. // Create credentials from private key. 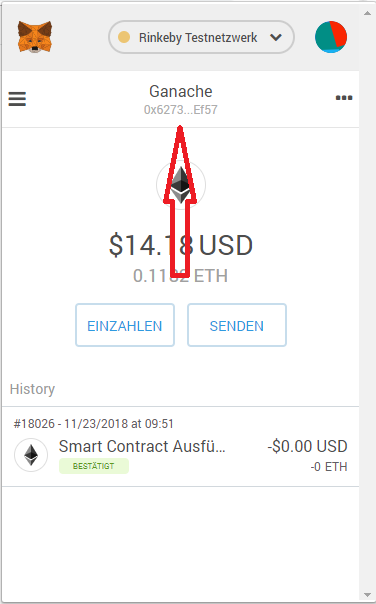 // Don't use with real (Mainnet) Ethereum accounts. As you can see, ExcelStorage is a class which can used like any other Java class. It has been generated by a Maven plugin (web3j-maven-plugin) during build time. It is statically typed with methods resembling the Solidity functions of the smart contract and with all the nice aspects this has: compile time checks instead of runtime checks and brilliant IDE support (code completion, type checking, static code analysis). 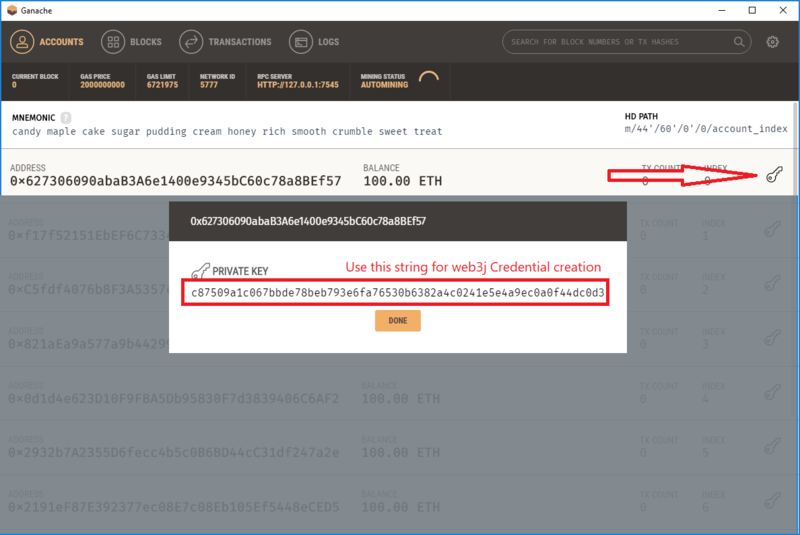 With great IDE and build tool support, you can try this out yourself, you will be surprised how lightweight and easy Ethereum smart contract usage is from Java. Even more, integration with your existing (“legacy”) software and infrastructure is straightforward. Addendum: This is a Testsetup only! What about the real Blockchain? 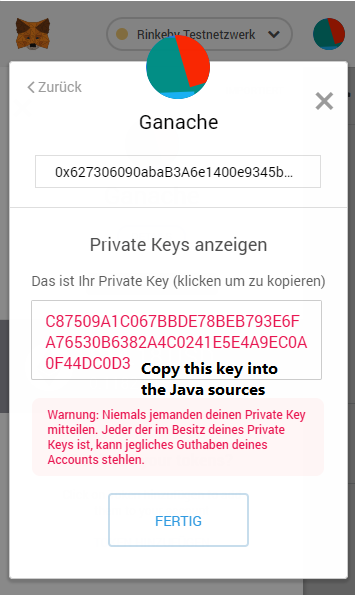 Where does the private key in the current Java sources come from? If you start Ganache with the mnemonic mentioned, everytime the same accounts are generated. The first one being 0x627306090abaB3A6e1400e9345bC60c78a8BEf57. 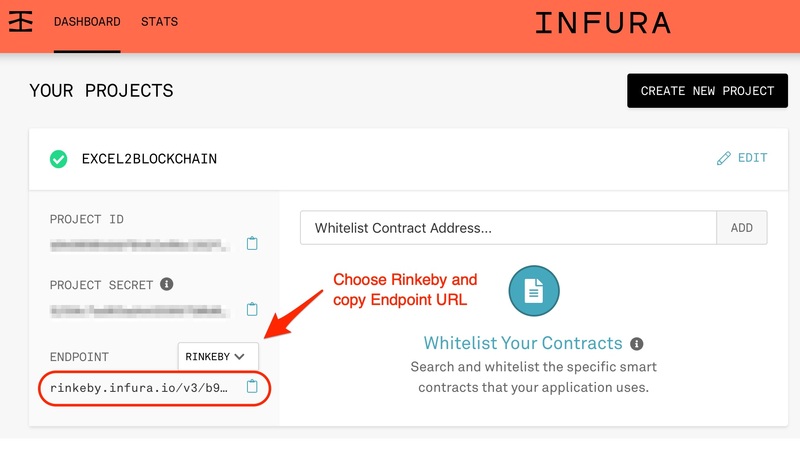 This address has one private key which is set into the Java sources to create the Credentials for contract deployment and transactions.